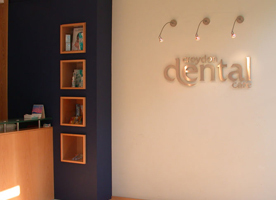 At Croydon Dental Care we welcome new NHS and private dental patients. To book your first appointment, please telephone our friendly reception team on 020 8686 6222 or complete our online form. We will do our best to offer you an appointment at the most convenient time to you. If you require emergency dental treatment, please contact reception as soon as possible. We will do everything we can to see you within normal opening hours (9am-5.30pm on Monday, Tuesday, Thursday and Friday and 8.15am-5.15pm on Wednesday) on the same day to get you out of pain. If your emergency occurs outside normal practice hours, please telephone 0203 4021333. 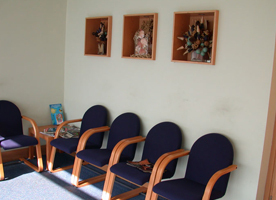 When you come in for your first appointment, please arrive 10 to 15 minutes early so that you can complete a medical history form. This will help our team to know about any conditions that may affect your treatment. Once you have completed the form, our reception team will enter them into our system, and you’ll be introduced to your dentist. The dentist will carry out a thorough examination of your teeth, gums and surrounding structures, and will ask if there are any specific concerns such as toothache or bleeding gums that have brought you in to the practice. They will check any existing crowns, bridges, dentures etc. to make sure they are still in prime condition, and will take photographs and x-rays as necessary. We also check for oral cancer as standard, as early detection is vital. If anything suspicious is found, we will refer you to a hospital consultant. Should we find you need treatment, we will provide you with a treatment plan, including an outline of projected costs. If you are interested in cosmetic dentistry, we will find out your aesthetic concerns and needs and include these in your treatment plan.